It’s 100% wool, 430 yards and knits up at 24sts = 10cm(4″) on 3mm needles. We have more than a dozen beautiful colours and subtle natural shades! 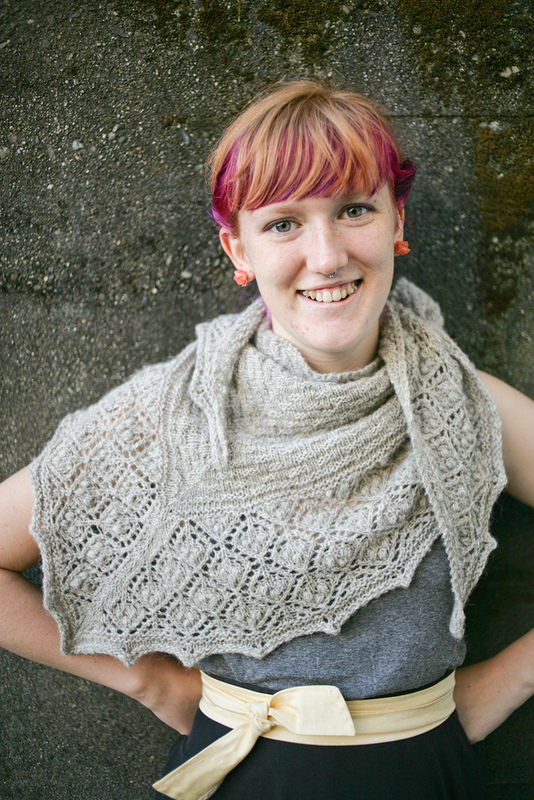 Nicola knit the Peppernut Shawl out of the Sport. 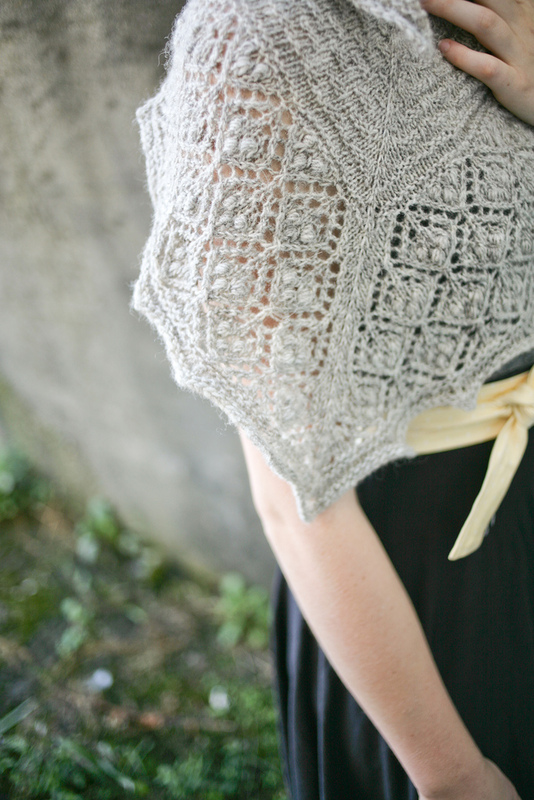 It displays the texture of this beautiful shawl so well. This yarn is also great for colourwork projects. I’ve just cast on the Loki Sweater! Come check out our booth and see all the fantastic colours and possibilities with the great Canadian yarn. This shawl is making me Nupping insane!!! I must have this pattern!